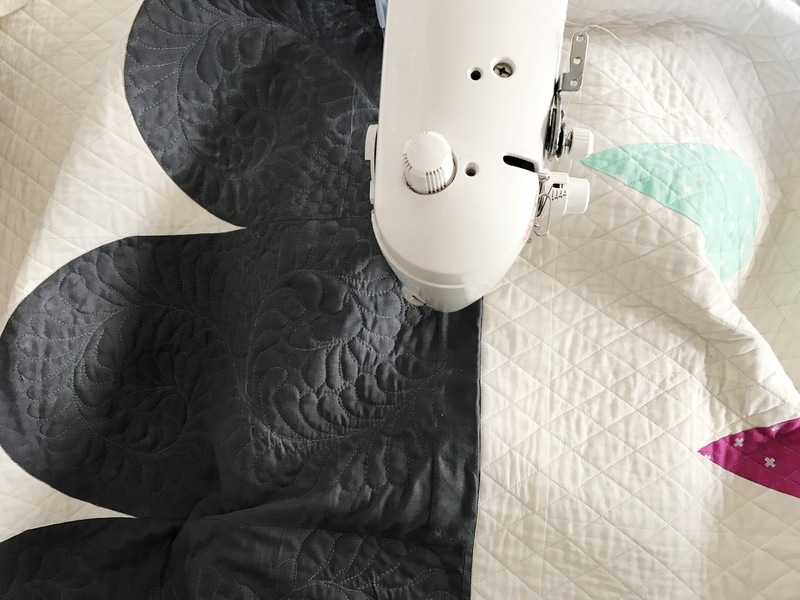 I’ve pushed myself beyond my quilting comfort zone… trying new free motion skills… I still have huge improvements to go. I know that, yet am pleased with where I am right now… Learning new things is a dance between being gentle and kind to yourself about where you are currently and stretching to grow past current skill level! Today I’m spending a little time celebrating how far I’ve come, rather than beat myself up for not being where I want to be. I’ll get there! Is am adding small pebbles as a filler around the feathers, and this quilting will be done! I can’t wait to share it with you all!